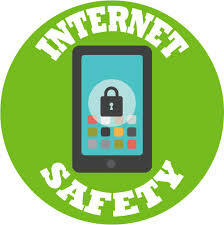 On Tuesday 5th February Sam Hollier from Digitally Yours came in to speak to Years 4, 5 and 6 about internet safety. Consent is the area being looked at this year and how important it is to make sure you both give your consent as well as ask for consent while using the internet. The first thing Sam asked the children to do was to name the top 12 apps being used by children, and also discussed the suggested age a child should be to use these apps. The children were asked to think about who they could talk to if they felt worried or unsure about something they see online. They also had to think about what their digital footprint would look like, and how important it is to create a positive footprint. They finally thought about what they could do if there was no internet! Go to the park, play board games, read, draw, were among the different ideas they came up with. It was an extremely engaging session which we hope your child will come home and talk to you about. We would like to thank Sam for coming into school and for the following positive feedback she gave….